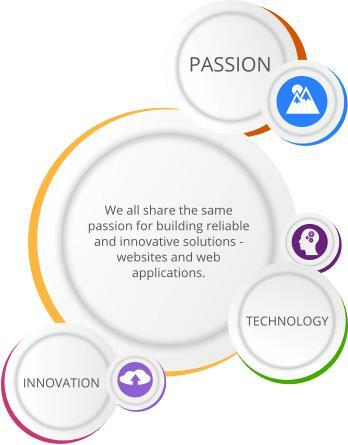 We are a group of friends - experienced computer engineers and graphic designers that share the same passion for building reliable and innovative solutions - websites and web applications. What binds our team together? We are working on our own solution for engineering project management and custom applications that use 3D graphics. We derive satisfaction from successfully finished projects and have a growing group of clients who are willing to continue working with us. Learn more about us - check our portfolio and read about our latest projects or find out what we can offer.